← ….. at The Framery ….. with Batman !! ……. ….. Reindeers on the roof …..& other news ! …..
….. other news ! 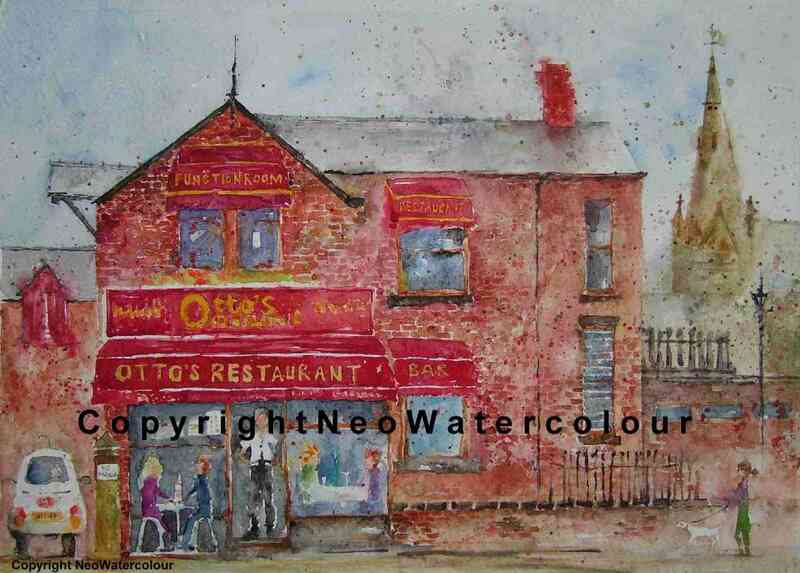 ….. at the Sharrow Vale Market last sunday, my “Ottos” painting (painted on street outside Gilbert & Sons, during the summer – i.e in the wind and rain :-)) raised £175* for Rain Rescue, a local charity helping pets in crisis, and we – myself and Gilbert & Sons – are SO pleased to be able to help them, through my artwork ….. 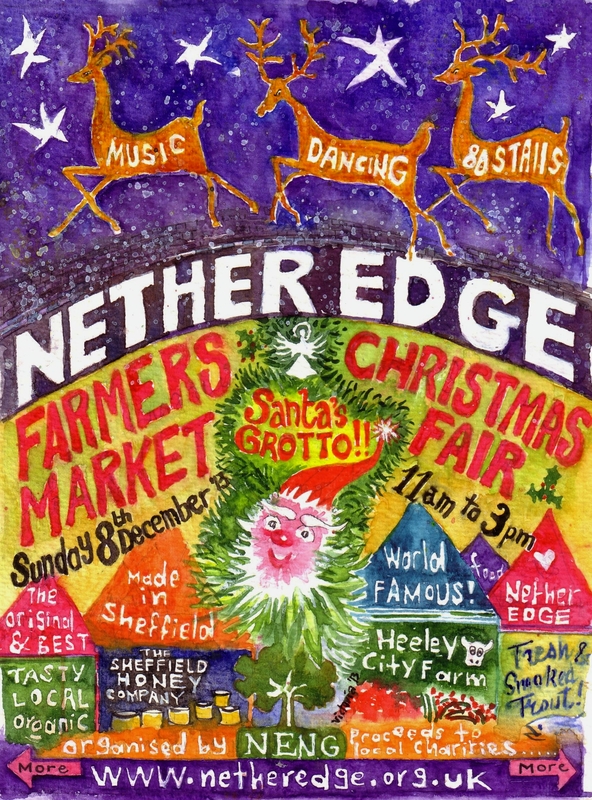 This entry was posted in Art, Cafe, Nether Edge, Sheffield, Sheffield - watercolours and tagged Christmas, Ecclesall, Fiat 500, Gilbert & Sons, Grotto, Heeley City Farm, Hunters Bar, Market, Nether Edge, Otto's, Rain Rescue, Restaurant, S7, Santa, Sharrow Vale, Sheffield, Sheffield Honey. Bookmark the permalink. 12 Responses to ….. Reindeers on the roof …..& other news ! ….. Your paintings make a warm feeling inside me and I really love them, Victoria! I’m up for that V! 2 years’ time? Great work and result with the ££ funds for Charity !